Home / Opinion / Can Texas Republicans raise the sales tax without suffering a backlash? Can Texas Republicans raise the sales tax without suffering a backlash? But it would take guts. Instead, the Legislature is looking at a constitutional amendment. That requires approval from two-thirds of the House and of the Senate. 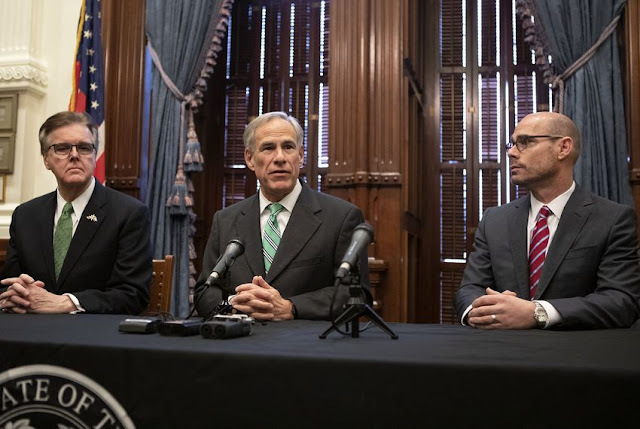 The governor would never see it; the ultimate decision on whether to raise the one tax in an attempt to shrink the other would fall to Texas voters. This is all about who gets the blame for the tax being raised. A Legislature more confident about getting the credit for falling property taxes might take the brave road. But previous attempts to lower school property taxes have fallen well short of impressing Texas voters. There’s a good chance they’ll be madder about the cure than about the disease. And in that case, it might be better if the result is the fault of the voters themselves. There’s also a good chance they’ll never get the chance to decide. Republicans control the Legislature, but not two-thirds of it. In the best case — where all of the Republicans vote in favor of the proposed constitutional amendment in House Joint Resolution 3 — the majority would have to attract 17 of the House’s 67 Democrats. They’d need at least two of the Senate’s 12 Democrats. That’s the best case. Even a quick look into the ranks of conservative activists reveals dissatisfaction with the tax-swap proposal — even after it was endorsed by the state’s top Republicans, Gov. Greg Abbott, Lt. Gov. Dan Patrick and House Speaker Dennis Bonnen. The numbers are easy, but the politics are tough: Every lost Republican vote requires another Democratic vote to replace it. Republicans generally don’t like raising taxes. Democrats aren’t crazy about it, but they especially dislike raising regressive taxes like the one on sales in order to lower more progressive taxes like the one on property. It amounts to increasing taxes that fall harder on poorer Texans in order to relieve taxes that fall harder on wealthier Texans. Getting a two-thirds majority would depend on finding enough votes while losing support from both the most liberal and the most conservative members. It doesn’t have to be this way. The sales tax rate isn’t in the Texas Constitution, and no constitutional amendment is required to raise or lower it. And with 83 Republicans in the House and 19 in the Senate, there are enough votes in each chamber to get the votes without asking the Democrats for permission. But it would expose the GOP lawmakers to a huge political risk. They’d be the sole owners of the tax swap, for better or worse. And while they wouldn’t have to share the credit if voters like the results, they wouldn’t be able to share the blame if voters were unhappy. They’d also have to get the governor to agree not to veto the bill. He’s on board now. And he could always let the bill become law without his signature. Even in that case, he’d share political ownership of the results. Given the bumps of the last few days, lawmakers have plenty of reasons to sweat about this. Legislation that would require voter approval for local tax increases over a set amount — 3.5% for cities and counties, 2.5% for school districts — was voted out of the Senate on party lines Monday. It took some arm-twisting to get even that much; the bill had languished since Valentine’s Day without enough support to even bring the matter up for debate. Public education legislation that would increase spending and remake the state’s school finance system — including a small property tax cut — is still pending. It’ll be contentious. And then there’s this sweet-and-sour proposition on how to pay for things by lowering property taxes and increasing sales taxes to make up the losses. It’s a real gut check.